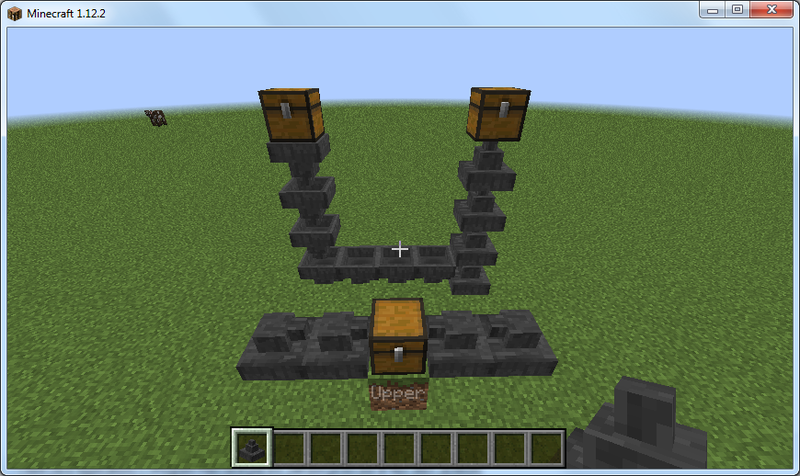 Uppers is a small utility mod that adds Hoppers that move items up instead of down. 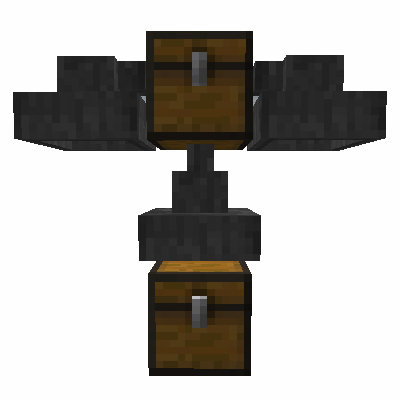 Uppers will also transport items from chests below to inventories above. Uppers can pick up items than are 1 block below them. Basically everything that Hoppers do, but up, not down. Uppers allow for vanilla like piping systems by combining with Hoppers etc. 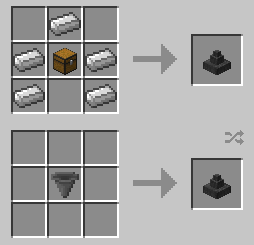 Uppers can be used with redstone the same as Hoppers which allows for some interesting possibilities. Feel free to use in any mod pack anywhere - no need to ask for permissions. Uppers are crafted as below. Hoppers can be turned in to Uppers and back again in a shapeless recipe. Screen shot of uppers in game.